WASHINGTON — It’s no secret that Russia is flexing its muscles on the world stage. In 2008, President George W. Bush condemned Russia for invading Georgia. In 2012, Governor Mitt Romney called Russia the Unites States’ biggest geopolitical foe. In 2014, President Barack Obama condemned Russia for annexing Crimea. And in 2016, Russia interfered in the U.S. election, sparking President Donald Trump’s denials of collusion. How exactly did former KGB agent Vladimir Putin become Russia’s reigning mischief maker? 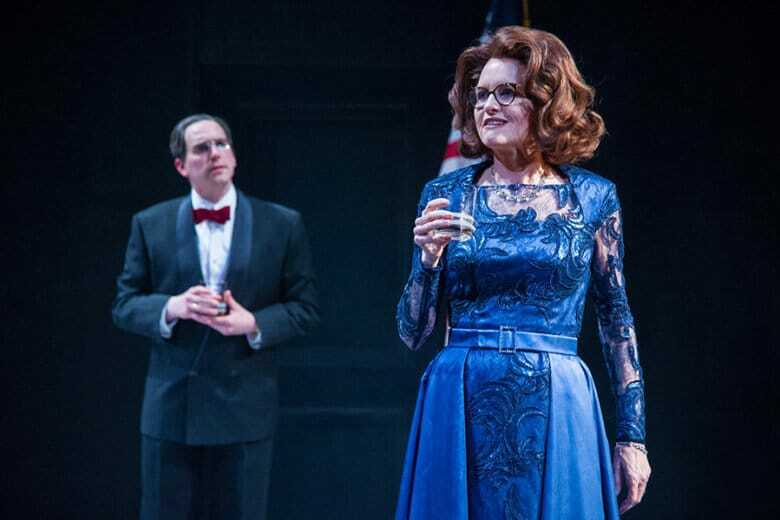 The answer lies in the world premiere play “Kleptocracy” at Arena Stage now through Feb. 24. Woertendyke plays Putin rival Mikhail Khodorkovsky, who wants to open Russia to the West. Directed by Jackson Gay, the play was written by “House of Cards” alum Kenneth Linn prior to the 2016 presidential election meddling, making the timely relevance rather serendipitous. Buckley plays the role of White House Official, the personification of U.S. policy at the time. Meanwhile, co-star Christopher Geary gets big laughs as a “terrifying yet impish” Putin. The Putin character talks directly to the crowd, fittingly “tearing down” the fourth wall. The red and black Soviet-themed set is visually designed for maximum audience interaction. She wouldn’t spoil the secret, so you’ll have to just come see “Kleptocracy” at Arena Stage.